already launched in Thailand and Philippines last day. 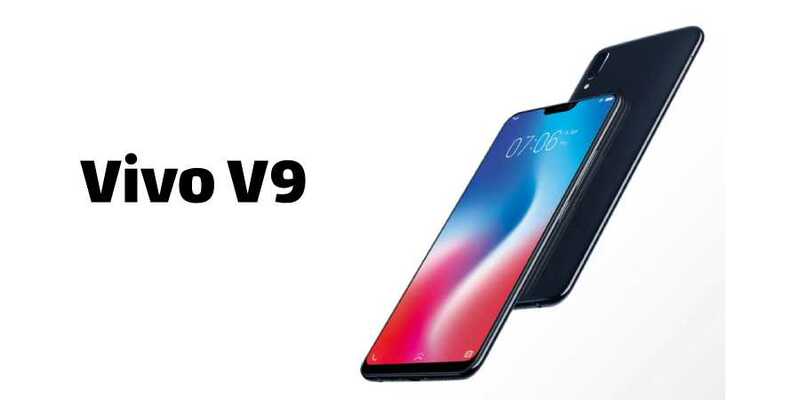 The V9 features a ‘notch’ – popularized by the iPhone X – in its display to house its 24-megapixel front camera and other sensors. One another main highlights of the new Vivo smartphone is that, it includes a dual camera setup and its 6.3-inch display comes with a 19:9 inch aspect ratio. The smartphone is available in India at a price of Rs. 22.990 and comes in 3 colour variant. The Champagne Gold, Pearl Black, and Sapphire Blue. The pre-order for Vivo V9 will start on Amazon and Flipkart from 3pm today (23rd March 2018). The sale will start on April 2nd along with other retail outlet in India. display with a resolution of 1080×2280 pixels and with an aspect ration of 19:9. As it specifies a FullView Display, it provides a 90 percent screen-to-body ratio. Talking about the camera features, the Vivo V9 features a dual camera setup on the rear side, with a primary with a primary 16-megapixel sensor and secondary 5-megapixel sensor with f/2.0 and f2/.4 apertures, respectively. It also provides an ‘Ultra HDR’ mode too. On the front side, the handset is provided with a 24-megapixel sensor with an f/2.0 aperture. The V9 is powered by a Qualcomm Snapdragon 626 processor with 4GB of DDR3 RAM. In the case of internal memory, the smartphone comes with an interal memory of 64GB which can be further expanded up to 256GB via a dedicated microSD card slot. The V9 also comes with Face Access 2.0, which will help unlock the phone using face recognition. Coming to the connectivity options, the smartphone inclues 4G VoLTE, dual-band Wi-Fi (2.4GHz and 5GHz), Bluetooth v4.2, GPS/ A-GPS, a 3.5mm headphone jack, and a Micro-USB port. Sensors onboard include an accelerometer, ambient light sensor, and a proximity sensor. It is packed with a 3260mAh battery. There is no support for fast charging feaure.